The Florida Council on Compulsive Gambling (FCCG) joins the National Council on Problem Gambling by calling upon Nintendo® of America and McDonald’s® to stop marketing their Slot Machine Super Mario™ toy to children in McDonald’s® Happy Meals®. Today, Jennifer Kruse, Executive Director of the Florida Council on Compulsive Gambling (FCCG), joined the National Council on Problem Gambling by calling upon the toy manufacturer giant, Nintendo® of America, and the fast food industry leader, McDonald’s®, to stop marketing their Slot Machine Super Mario™ toy from McDonald’s® Happy Meals®. So, why advertise a child playing with a Slot Machine Super Mario™ toy when state laws require persons partaking in such electronic games to be a minimum age of 18 or 21? The mere presence of this toy in the marketplace confirms there is a perception that gambling is viewed as less of a threat than alcohol, drugs and tobacco. This viewpoint is ill guided when research confirms that children are already suffering from serious gambling related difficulties. “Just because you cannot easily ‘see’ a hazard, does not mean it doesn’t exist. Had the Super Mario™ Happy Meal® toy highlighted a bottle of beer or bloodshot eyes, or had the fantasy character smoking a cigarette, government and others would be up in arms. Unfortunately, we can no longer afford a double standard when research confirms that problem gambling is a growing public health issue, in general, and especially among adolescents, that demands attention now,” concluded Kruse. 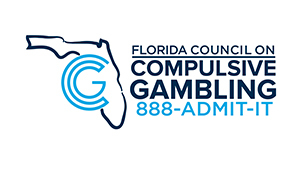 The Florida Council on Compulsive Gambling is under contract with Florida State government and operates the 24-hour Problem Gambling HelpLine (888-ADMIT-IT), advocates on behalf of the public on issues relating to problem gambling, provides programs and resources to individuals in need of help for a gambling problem, including free treatment for gamblers and loved ones by certified professionals. The FCCG is an affiliate of the National Council on Problem Gambling. Click here to download the press release in PDF format. PREVIOUS POST ← The Kids are Back in School. Here’s How They May Be Exposed to Gambling.